The second area where further action might be needed is in the field of international cooperation, he said. “Part of our strength lies in the fact that we are an international organisation” which forms part of a “rich IP ecosystem.” The EPO could look at reinforcing cooperation with its members states, or ask how users could be given a greater focus in the European Patent Network, he said. A third area is “dialogue with staff,” Campinos said. He contacted all staff members “to let them know immediately that staff engagement is among my top priorities,” and that he welcomes their ideas for possible changes to the Office, he said. to be vital,” Campinos wrote. Other stakeholders, such as patent applicants and national patent offices, will also be invited to comment in upcoming consultations, he said. On 10-11 July, Campinos met with the office’s management advisory committee and, in a follow-up memo to line managers seen by Intellectual Property Watch, said the growing volume of patent applications, which is expected to increase by an average of at least 2.8 percent per year until at least 2023, implies “the need to continue with our production increases.” He praised staff for achieving “great results” with the production increases of recent years, and encouraged them to keep trying to reduce application backlogs. He noted that while “timeliness is an essential component of the quality of a process,” some patent files are more complex and require more time and attention. That raises questions such as how application processing could be differentiated to reflect their complexity or whether complicated issues could be addressed more collaboratively with, for example, a team of experts, he wrote. In a 26 July memo, “Listening to the Staff,” Campinos noted that in his meetings with employees, “a number of common themes have cropped up.” While the EPO’s strategic focus has been on making the patent-granting process more efficient, that is just “one in a triangle of three closely-linked factors that will keep our organisation on track,” the other two being quality and long-term sustainability. He plans to assess what the appropriate balance among the three should be, he said. EPO staff are “already “very passionate about quality,” but Campinos said he wants to work with them to define the quality of the final product rather than just the process. He also backed staff calls for a broader digital transformation. Next June, Campinos plans to present the governing Administrative Council with a strategic plan outlining a multi-year work programme for the office, he said. A look at the EU Intellectual Property website “might give you an idea what such a strategic plan could look like,” an EPO spokesman said. Patent practitioners said Campinos’s priorities are encouraging – with some reservations. Staff union members said that while they hope for a change for the better after the bitter employee-management disputes under former President Benoît Battistelli – and are willing to give the new man the benefit of the doubt – Campinos’s insistence on maintaining the exhausting pace of patent grants while at the same time boosting patent quality is not a good sign. Campinos had one chance to make a good first impression but missed it by circumventing elected staff representatives and meeting directly with employees, a source close to the Staff Union of the EPO (SUEPO) said in an interview. Contrary to what Campinos trumpeted online, it does not appear to be a priority for him to work on the social agenda, said the source. With hundreds of employees suffering from burnout and depression caused by the increased production pressures imposed by Battistelli, one of Campinos’ first moves was to retain the same performance level but seek to boost patent quality, which are mutually exclusive goals, said the source. In addition, there are several pending disciplinary cases involving staff representatives who were “abusively sanctioned” under the past president which Campinos “could terminate as a sign of good will” but hasn’t, the source emailed later. Nevertheless, “we want to hope that things will improve,” rather than condemn Campinos, said the source. At this stage patent attorneys “have heard very little about the Campinos tenure, and have very little indication of how this will pan out,” emailed Finnegan, Henderson, Farabow, Garrett & Dunner, LLP (London) patent lawyer Leythem Wall. Despite that, Campinos’s blogs “seem positive and that he is getting off to the right foot.” Practitioners hope the new president will continue to encourage consultation and engage with users of the EPO’s services, he added. It makes sense for Campinos to focus internally for now, “but other stakeholders will want to hear from him soon,” emailed Kilburn & Strode LLP (London) patent lawyer Gwilym Roberts. “He focusses rightly on quality; the EPO is recognised as the best but if efficiency comes at the cost of quality then the process has failed.” It’s not a matter of balancing efficiency and quality but of maintaining quality during incremental efficiency changes, he said. 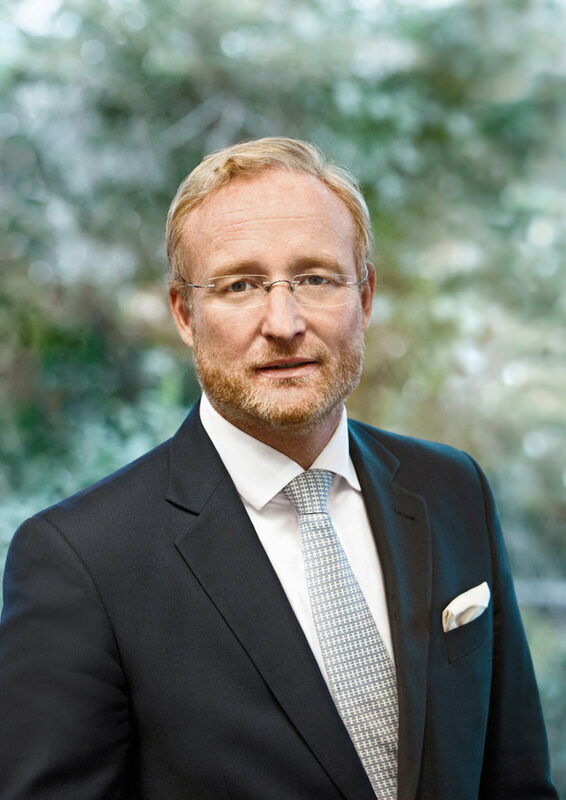 "New EPO Chief Outlines Priorities With Global Focus; Staff Wary But Hopeful" by Intellectual Property Watch is licensed under a Creative Commons Attribution-NonCommercial-ShareAlike 4.0 International License.